A growing local non-government organisation (NGO) is developing a new line of value-added products with the help of local farmers. The Foundation for Rural Integrated Enterprises & Development (FRIEND) helps train the farmers to develop their products for new markets. “To support the rural communities a range of products have been released that include spices and gluten free flours from breadfruit, cassava and maize,” said director and founder of FRIEND, Sashi Kiran. FRIEND has also launched the traditional Indian seve-grain satwa cereal that is also used as multi grain flour by many chefs. FRIEND has also developed a product from the popular yaqona drink. 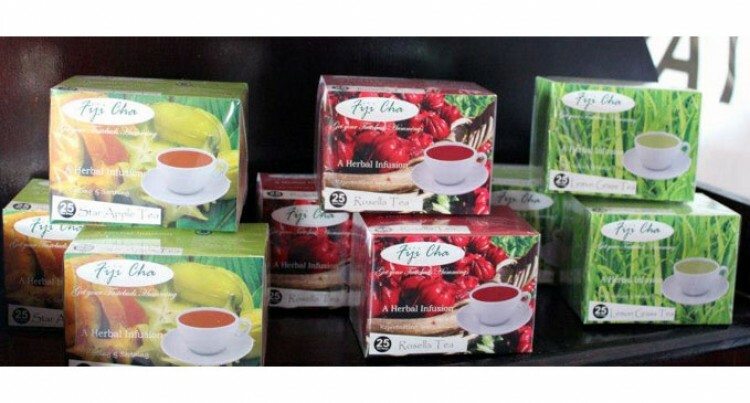 “For insomnia and relaxation after a stressful day, yaqona can also be now taken in a cup of tea,” she said. A range of herbal infusions include tulsi (basil), layalaya and cinnamon, lemon grass, cinnamon, star apple, yaqona and rosella is being developed by the NGO. Through the commitment of their 60 staff members, these products have opened new markets for the farmers who had been trained in the production of the product. These food products join the well-known brand range of FRIEND’s Fiji-style chutneys and jams that have been in the market for awhile now. FRIEND also works with young people to produce handmade paper made out of ‘kava kosa’ that is used for a range of craft production. Products including their range of cards are readily available in selected stores while the ones in the duty free store target the tourists. “We work with communities to identify their traditional skills and resources to develop products for their income. This ensures sustainability as community members are comfortable with their existing knowledge. Over the past three years FRIEND has helped set up 300 poultry projects, 80 bee-keeping projects, worked with 500 farmers to grow a range of organic herb and vegetables. The development has set up of fruit orchards as part of a grant from the European Union which concluded in December 2014. The organisation has trained 1500 women around the country in drying fruits and preparation of local gluten free flours that are becoming quite popular in local homes. FRIEND’s HACCP certified food production facility ensures that products maintain quality and consistency.